BSkyB has signed up more than 100 advertisers to its targeted TV ad service AdSmart, and has revealed initial positive results from brands such as Audi, East Coast Trains and Lego. AdSmart launched fully in January, after a six-month trial. At the time, more than 40 advertisers had signed up, including Tesco and American Airlines. The service selects what ads are shown to households with Sky+HD set-top boxes, using Sky data such as their postcode and demographic information from companies including Experian. 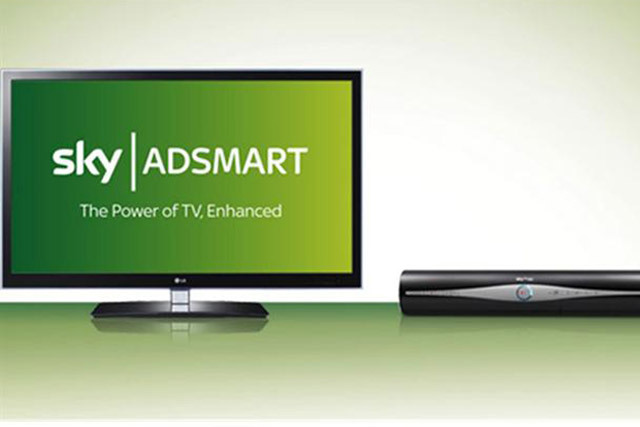 Sky claims advertisers have seen sales uplifts from their AdSmart campaigns. East Coast Trains used its first AdSmart campaign to target homes in Newcastle, Sunderland and Edinburgh with a different creative execution for each city. Initial results showed that homes receiving AdSmart campaigns generated 26 per cent more online sales for the brand than traditional linear TV campaigns. Sara Borland, the business marketing manager for East Cost trains, said: "We’re a big fan of TV and any development which allows us to complement our linear activity at a regional level has to be a good thing." Of the 100 advertisers that have used AdSmart, half are new to Sky, while around six – including BMI Healthcare and Localgiving – had never previously advertised on TV. The car manufacturer Audi found that households that saw AdSmart ads for its A6 and 6S models were twice as likely to buy a new car within the next year, compared to those seeing regular TV ads. In addition, the "very high-affluence viewers" targeted by the Audi ads were more than ten per cent more likely to agree that an ad was "more interesting and relevant to me", compared to a more general ABC1 audience. A spokesman for MediaCom, Audi’s media buying agency, said AdSmart allowed it to adopt an "unprecedented approach" and an "attractive alternative to cherry-picked schedules." The toy brand Lego used the service to target an audience of affluent fathers, and found that spontaneous ad recall was 27 per cent higher for those exposed to both Sky AdSmart and linear TV, compared to exposure to linear TV alone.